Over the years there have been many attempts to explain why the Islamic world seems to be, as some have argued, at odds with modernity and political pluralism. Yet, such presumptions persist under determinist arguments, underpinned by the assumption that Islam must eventually undergo an Islamic reformation that follows a similar trajectory and reasoning as Christianity's period of reformation. Shadi Hamid rejects this idea in his new book: Islamic Exceptionalism: How the Struggle Over Islam is Reshaping the World. Hamid argues that Islam is fundamentally different from other major religions, and this distinction serves as the impetus throughout the book as he explains why Islam is uniquely resistant to secularization. Additionally, Hamid suggests the struggle to situate the role of religion in public life can explain the rise of the self-declared Islamic State of Iraq and the Levant (ISIL) and the Middle East's descent into widespread violence and instability. Hamid's inquiry is ambitious and challenging: he calls on readers to question their assumptions about the role of religion in public life, particularly the supposition that secularism is a prerequisite for democracy. Hamid's argument rests on the notion that Islam was fundamentally different from other major religions since its inception, and this carries profound implications with regard to the role of Islam in politics. The founder and prophet of Islam, Muhammad, was also a statesman. Consequently, his leadership intertwined politics, law, and religion, placing the lattermost at the forefront of public life. In contrast, Christianity placed Christ in opposition to the existing legal order and political system. Therefore, Hamid argues, the Islamic reformation, should there be one, cannot be expected to parallel that of Christianity. The core of the text explores three models of political association in Islamic contexts: the Muslim Brotherhood in Egypt, Ennahda in Tunisia, and the Justice and Development Party (AKP) in Turkey. Hamid assesses how each movement manages the balance between religion and state, and finds shortcomings in each instance. Where the state falls short in accommodating space for religion in public life, tension can give way to perverse forms of Islamist movements, such as ISIL. The book reads as part-memoir, part-essay as Hamid shares anecdotes and events that occurred during his time interviewing Islamist activists. Collectively, these experiences tell a bigger story of the struggle to establish legitimate political order in the Middle East since the fall of the Ottoman Caliphate in 1924 and how the failure to reconcile pre-modern Islamic law with the nation-state has paved the way for the emergence of ISIL, which Hamid notes "is more important not for what it does, but for what it means. Even if ISIL were destroyed tomorrow it would stand as one of the most successful and distinctly 'Islamist' state-building projects of the modern era." In one striking story, Hamid describes a conversation he had with a young Tunisian filmmaker whose cousin joined ISIL in Syria. Hamid asks the filmmaker if his cousin's decision to fight with ISIL seems abnormal to him. The filmmaker, who by then had gone through several beers, replies, "You're living in America, habibi, not in Tunisia...if you lived in Tunisia and you're experiencing daily subjugation and injustice, and you have ideas, and you have principles, and you have objectives, and you have a vision for the future, and if you live in a state that doesn't embrace you, then it's the opposite. It's very normal." These personal anecdotes bolster the tension underlying Hamid's thesis - that secularism without democracy is neither sustainable nor desirable. Tunisia, Egypt, and Turkey are useful case studies inasmuch as they provide a reference point for discussion, but Hamid's analysis neglects a discussion of Islamist movements across Central Asian and Eurasian states. Several post-Soviet Islamic countries of Central Asia and Eurasia have foregone democratic ideals for the sake of augmenting their security apparatuses, not unlike autocracies in the Middle East. However, the general population of countries like Kazakhstan and Azerbaijan do not necessarily want to see religion play a more central role in public life. Kazakhstan is one such country that proves to be a fairly well-functioning, though undemocratic, secular Muslim-majority state. One wonders if this calls into question Hamid's argument that Islam is unique in how it relates to politics. Readers who can get past Hamid's frequent reminders of his access to Islamist activists will find that the author displays a great deal of intellectual humility. The book opens with Hamid recounting his interviews with Muslim Brotherhood activists just days before the deadliest massacre in modern Egyptian history. He admits that he struggles to understand "the willingness to die" of some mainstream Islamists, and the remainder of the book reflects a similar thoughtfulness. For readers whose main source of information about the Middle East is general news coverage, Islamic Exceptionalism combines fluid storytelling with a non-traditional perspective on the history of Islam that may prove necessary for real progress in Western foreign policy. Amanda Zeidan received an MSc in Foreign Service from Georgetown University, with a concentration in Global Business and Finance. 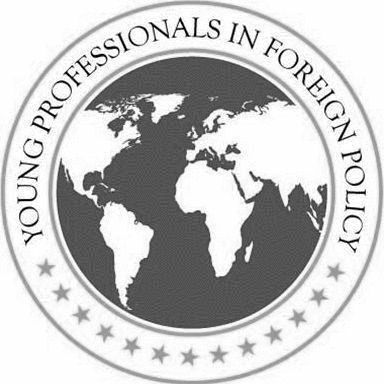 She is an Allen W. and Allen M. Dulles Graduate Fellow (2015-16) at the Institute for the Study of Diplomacy and a Middle East Fellow at Young Professionals in Foreign Policy.